Ganesh Chaturthi as the name suggest is celebrated on Chaturthi of Bhadrapada month of the lunar calendar. Ganesh Chaturthi is celebrated on the fourth day of bright moon phase in the month of Bhadrapada. If an extra month of Bhadrapada comes, i.e Adhika Bhadrapada, then Ganesh Chaturthi has to be celebrated only once and that is also in Nija Bhadrapada Masam only. This year we Ganesh Chaturhti is observed on 3rd Monday, September 2046. 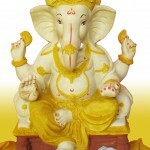 Ganesh Chaturthi is the birth day of Lord Ganesha. 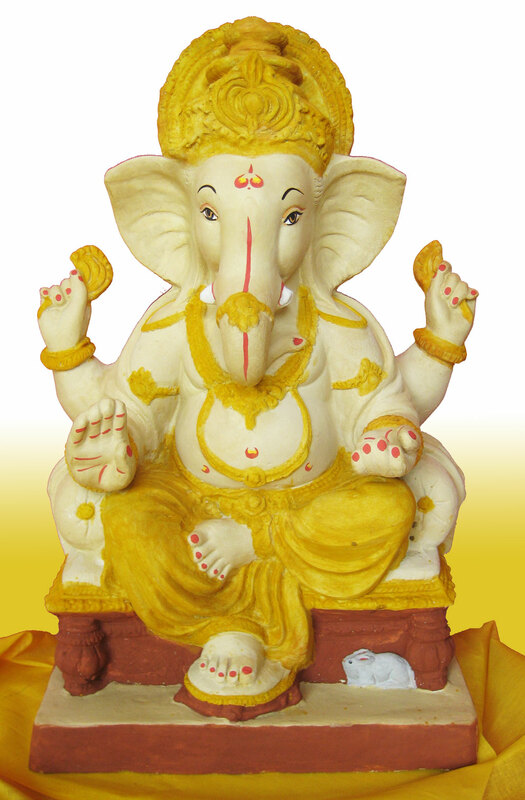 Lord Ganesha was made the head of Vighnas(obstacles) on Ganesh Chaturthi. Lord Ganesha is the God who has to be worshipped before beginning any work so that he is pleased and no obstacles come while the work is in progress. On Ganesh Chaturthi idol of Lord Ganesha has to be prepared from clay and worshipped. It is very good to worship Lord Ganesha with 21 kinds of leaves known as Eka Vimshati Patrani Puja. These 21 leaves have medicinal value and are a natural way of curing few ailments without any side effects. Ganesh Chaturthi was formed so that we can easily identify and know the medicinal value of the plants available in and around our homes. In olden days people used to roam in the open lands and gardens, identify the plants and bring the leaves of the plants for worshipping Lord Ganesha on Ganesh Chaturthi.